Dustin hasn’t shaved his facial hairs in over six years. 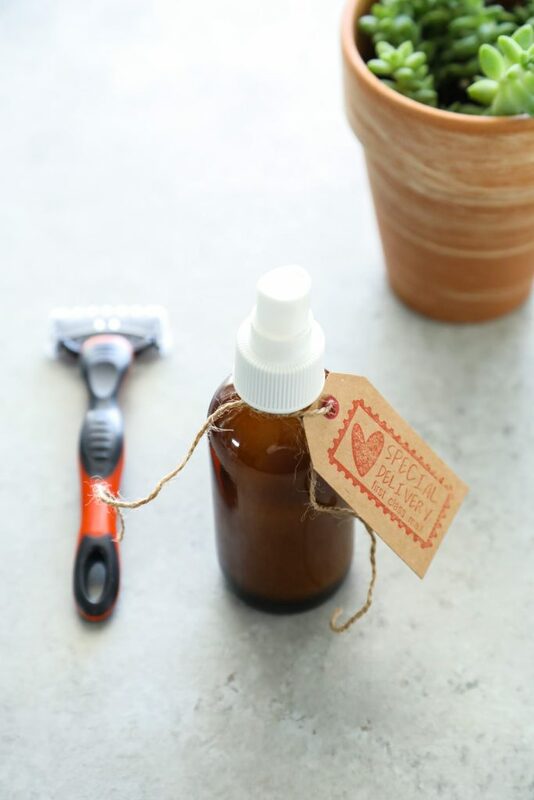 And, today, we’re going to chat about shaving, particularly how to make homemade aftershave. Oh the irony! 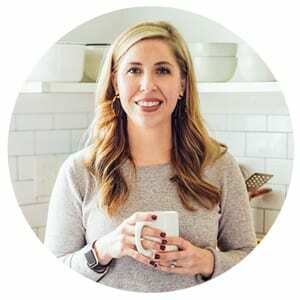 Back in 2013, when I started blogging, I shared natural living recipes that were entirely based on our personal needs: foundation powder, body wash, hand soap, and laundry soap. At the time, my closet friends, my mom, and grandmother were the only people reading my recipes. “More natural lifestyle” = progress, never (stressed-out) perfection. So, that’s why I started out with my irony statement. The irony of today’s post is that Dustin hasn’t shaved in over six years. He sports his rustic beard proudly, and he doesn’t have any future plans to shave it off. And, if you’re curious, I really do love his beard. 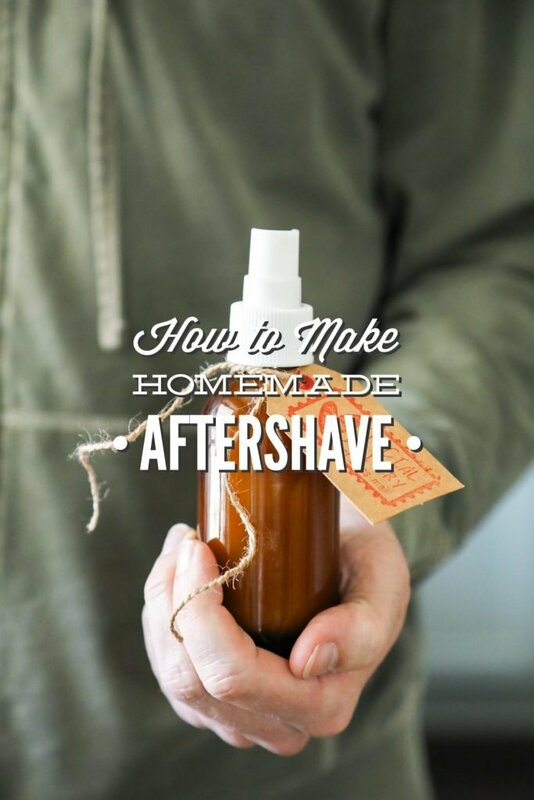 So why share a post on Live Simply about how to make homemade aftershave? 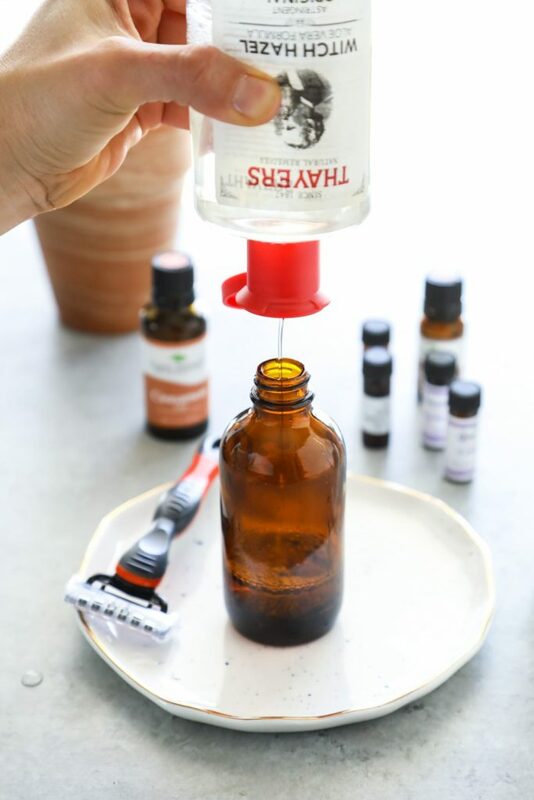 Homemade aftershave is so incredibly easy to make that it only requires two base ingredients: vegetable glycerin and witch hazel. Since neither glycerin or witch hazel offer much in terms of natural fragrance, essential oils are used to create a classic aftershave scent. The end result is a soothing and cleansing aftershave with a natural, manly fragrance. 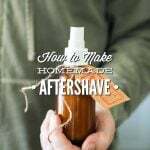 Two simple homemade aftershave recipes. Spray this product liberally on the skin after shaving to soothe and tone, while giving a pleasant scent. In an 8-ounce glass spray bottle combine the glycerin and essential oils (either for the Spiced Bay Scent or Forest Scent). Swirl to combine, then add the witch hazel until the bottle is almost full. 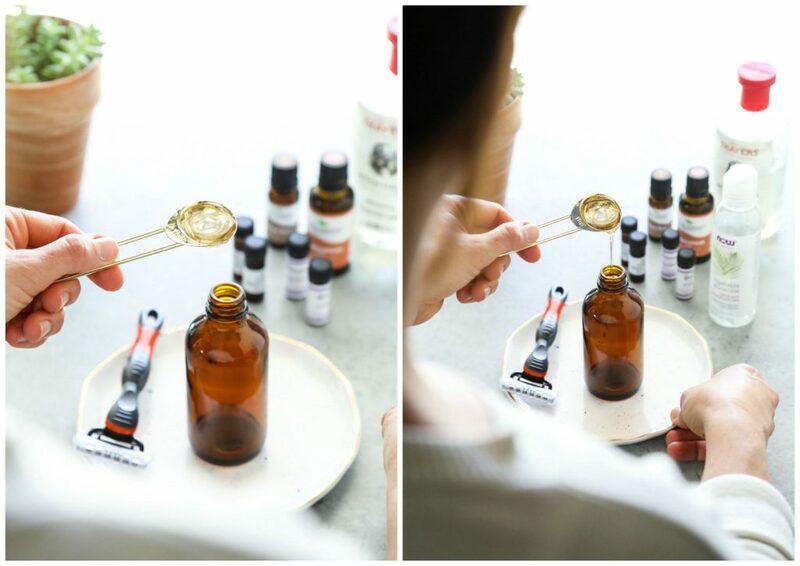 You’ll need about ¾ cup and 2 teaspoons of witch hazel, but it isn’t necessary to measure--just fill the bottle. Place the spray top on the bottle, and shake well to combine the ingredients. 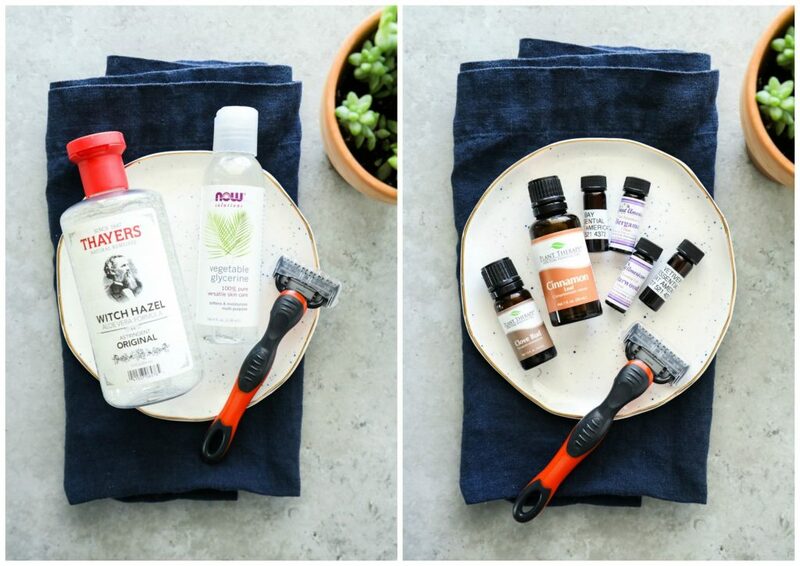 Shake well before use, and spray liberally on the skin after shaving to soothe and tone. The scent won’t last as long as store-bought aftershave products. * I used the alcohol-free formula witch hazel from Thayers. 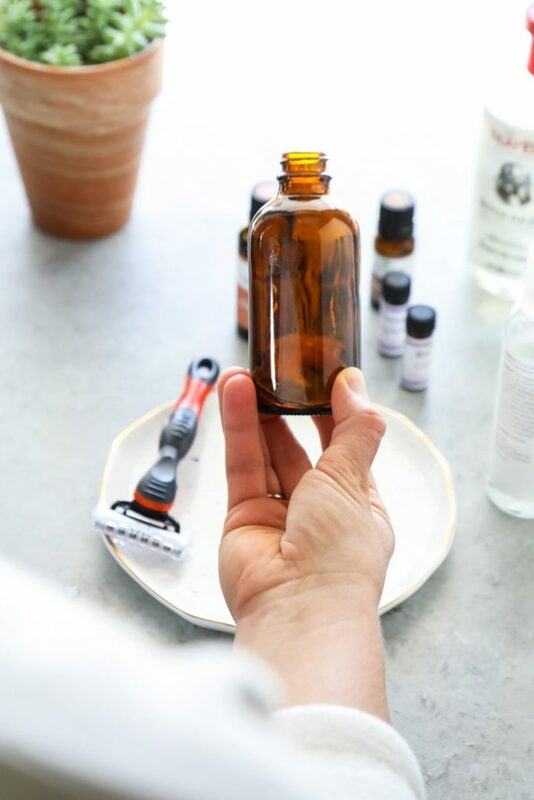 It's not essential to use the essential oils to create an aftershave product; however, most men are used to a scented aftershave (which, in this recipe, comes from blending essential oils). My favorite scent is the Spiced Bay Scent, which reminds me of Christmas. The Forest Blend is very woodsy (Dustin said it reminds him of hamster wood-chips, lol). I purchased most of the essential oils from a local apothecary store in our area. If you don't have this option in your area, I recommend checking out Plant Therapy (website or Amazon), Aura Cacia (natural food stores or Amazon), or Mountain Rose Herbs (website)--these sources are usually well-priced and offer small quantities. As always, do your own research with essential oils, particularly when using essential oils on the skin. The essential oil amounts are under dilution recommendations for the skin. 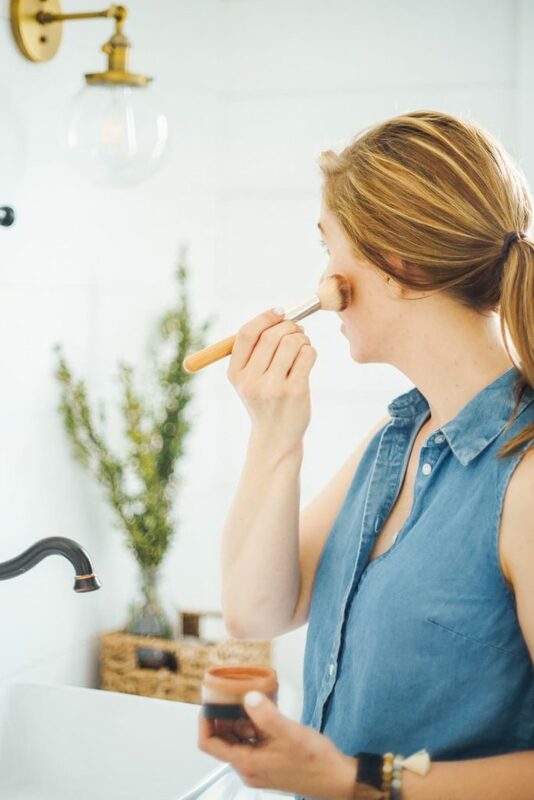 It's always best to perform a small spot test on the skin, whether you're using a homemade or store-bought product, before applying a product all over the face or body. While Dustin didn't personally test this recipe, it was tested and approved by other men before publishing. Yes, please do! I would love to hear what they think. Would aloe vera gel be a good substitue for vegetable glycerin? Hey Hannah, Aloe won’t work the same way as the vegetable glycerin when it comes to dispersing the essential oil in the liquid. You could add aloe to the final recipe (an aloe with a natural preservative versus fresh aloe), but I don’t think it will work as a substitute. I just made this for my husband. I made the spiced bay scent. It’s perfect! It smells great and doesn’t have the burn that aftershave normally does. Thank you for sharing! Yay, Brooke! I’m so glad he’s enjoying it! I’m concerned about this recipe. Can you explain. I always thought that when using essential oils on the skin, A) Essential OIls needed to be diluted with a carrier oil and B) there needs to be no more than a 3 percent ratio of essential oil to 1 oz of carrier oil. 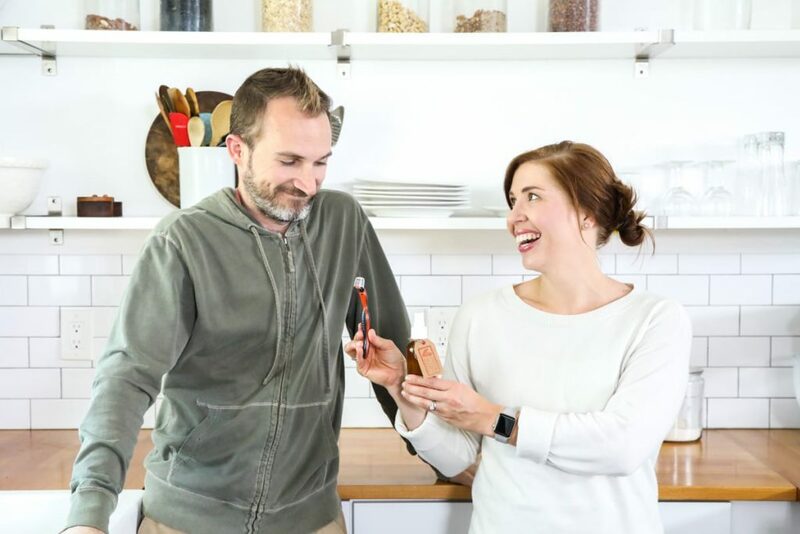 Your recipes not include a carrier oil, unless the vegetable glycerin is? and even if so definitely far exceed the 3 percent ratio. Am I missing something here?